Visitors are encouraged to view, use, and share these images of Cuba, selected from the Latin American Visuals Collection. Philip Brenner, Caroline DeLeon, Amberly Ellis, Larry Engel, Bill Gentile, Esther Gentile, Garrett Graddy, Sonya Grier, Eric Hershberg, Brittany Lehr, Ana Serra, and the Jack Childs Collection. To learn more about sharing images of Cuba with the Latin American Visuals Archive, please contact Jacquelyn Dolezal at dolezal@american.edu. 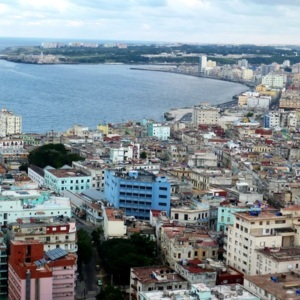 More information about the Center for Latin American and Latino Studies and more resources on Cuba can be found at http://www.american.edu/clals/index.cfm.